The Music of Tomb Raider: Composer shares sheet music to Tomb Raider's "Main Theme" - submit a cover and feature on MoTR! Tomb Raider (2013) composer Jason Graves today posts the "Main Theme" for the new iteration of the Tomb Raider series via his official Facebook page. Arranged for Piano in E minor, the haunting and melancholy piece will serve as the thematic backbone for the musical relationships across the entire score. When asked what square one was to him, the composer also emphasised the importance of beginning a score with a theme; "Call me old-fashioned. Then it was a matter of finding out what kind of percussion would work, and always going back to the melody and the theme, because that's the heart of the game." Tomb Raider is slated for a multi-platform release come March 5th, 2013. Feature on the Music of Tomb Raider! 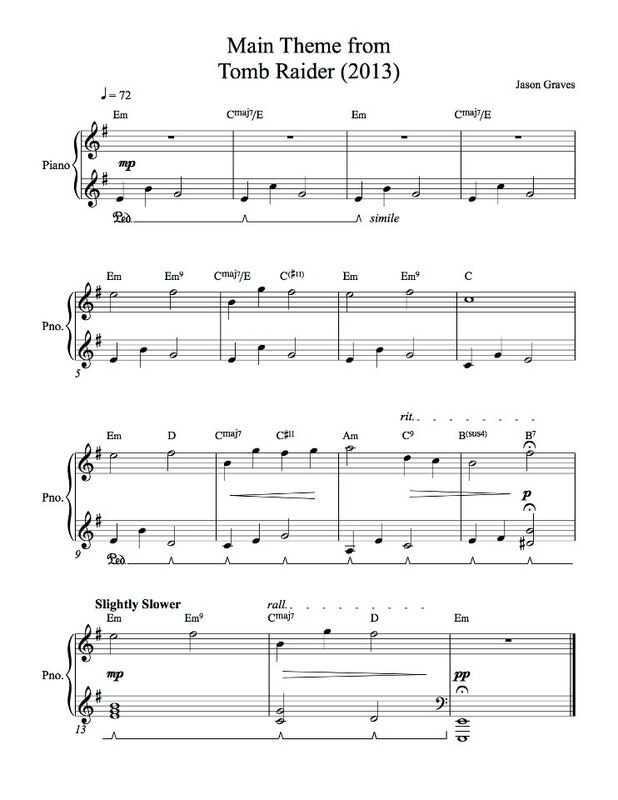 Reply to this post with your cover of Jason Graves' sheet music and we'll publish it in an upcoming article! Tomb Raider is legend! Thanks to all wonderful work and sound. This seriously makes me tear up, I love it a lot. Tomb Raider is amazing and the music is always top notch. Tomb Raider 2013 is no different. Thank you!